I am still saddened that HBO boxing is off the TV air waves. Boxing is my life, and in my daily travels, I have many that ask me questions and give me opinions on the sport. 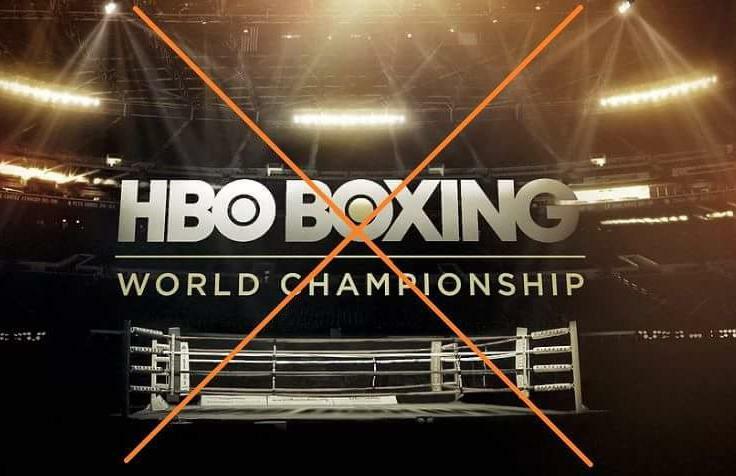 Most recently, many have asked me this: do I miss HBO World Championship Boxing and why? My easy answer to that is – without hesitation, of course – most definitely I do, as it has been a “main course” for me since its beginning broadcast in 1973. And the one thing that I truly and honestly miss is my friend Harold Lederman and his expert commentary. I have always been intrigued with boxing trivia. This began back when I was a kid in 1961. I would pick the minds of the older generation and ask them questions about their era to educate myself. It’s now my pleasure to bring boxing trivia to my website for everyone. On a quarterly basis I post five (5) multiple choice questions – March, June, September, and December – with the correct answers to follow by the end of each posting month for viewing. 1 – What is the real birth name of legendary hall of fame boxing trainer Jackie McCoy? 2 – What former heavyweight contender on January 25, 2009 graduated with a bachelor of science degree from Temple University? Dr. Joe Noriega – R.I.P. 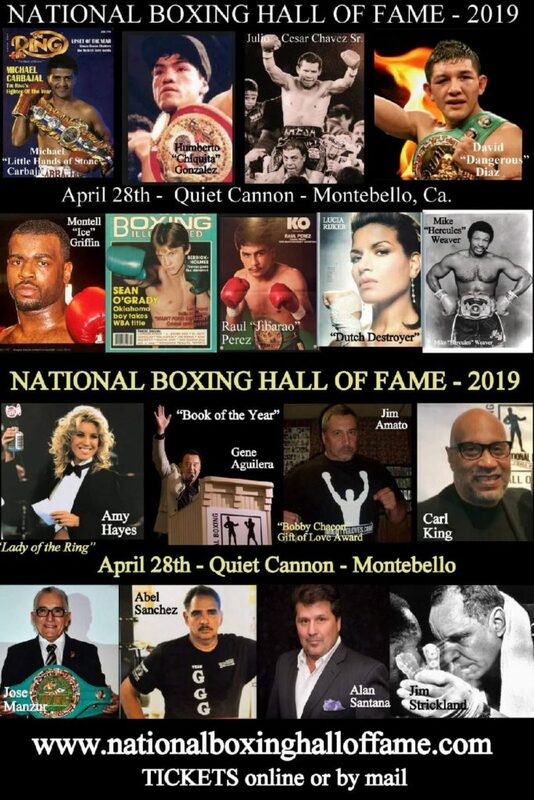 I was saddened to learn this past week that a dear friend of mine, past president and member of the executive VP board of the World Boxing Hall of Fame, Dr. Joe Noriega, passed away on February 18, 2019. Joe was well known in the Los Angeles area for his outstanding work in the chiropractic field. He is survived by his lovely wife Nelly, and sons Dr. Jess, and Chris. 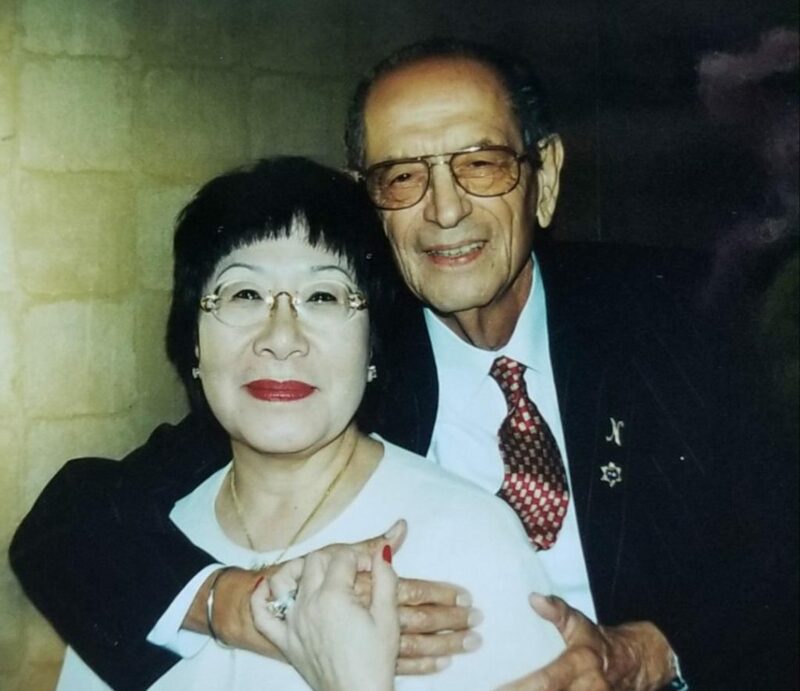 Funeral services will be held on March 9, 2019, at 11:00 a.m. at Rose Hills Memorial Park, 3888 Workman Mill Road, Whittier, California 90601. 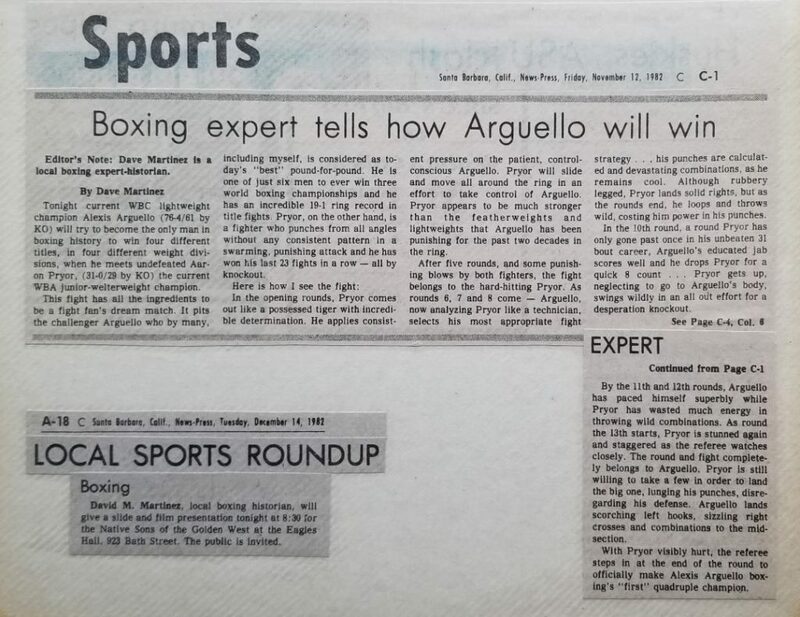 In this edition of “Pages From The Scrapbook” features my pre-fight article piece – dated November 12, 1982 – on Alexis Arguello vs. Aaron Pryor for the WBA Junior Welterweight Championship … also, a press note regarding my slide and film presentation – dated December 14, 1982. One of Britain’s greatest boxers, is certainly Freddie Welsh. Born by the name Frederick Hall Thomas, on March 5, 1886, in Pontypridd, South Wales, United Kingdom. Welsh started his professional career in 1905 in Philadelphia. He would later win the lightweight championship by 20 round decision over Willie Ritchie on July 7, 1914. He would go on to hold the title until 1917, when he then lost to Benny Leonard by knockout in 9 rounds. After the Leonard fight, Welsh went on to serve in United States Army during World War I, and helped disabled veterans at Walter Reed Hospital. 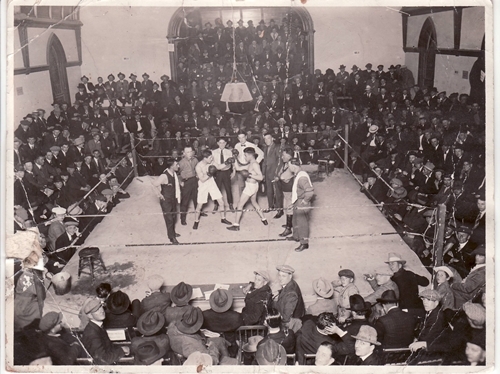 After being discharged at the rank of captain, he returned to the ring after a three year layoff resumed his boxing career in December 1920 . 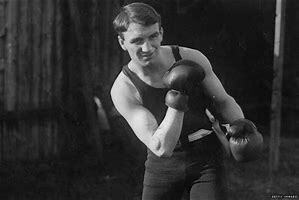 Welsh would only fight six bouts in 16 months winning four, with one draw and losing a 10 round decision in his final fight, and he would retire in April 1922.